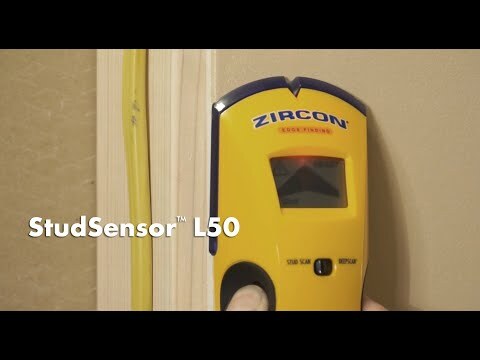 The StudSensor™ L50 stud finder locates the edges of wood and metal studs and joists behind walls, floors, and ceilings. Its easy-to-read display screen indicates stud edges, SpotLite® Pointer shines a beam of light on the wall to clearly identify the target, and WireWarning® detection indicates the presence of live AC voltage. Its patented pivot pinch grip and contoured shape provide an easy, secure hold in either hand, at any angle.